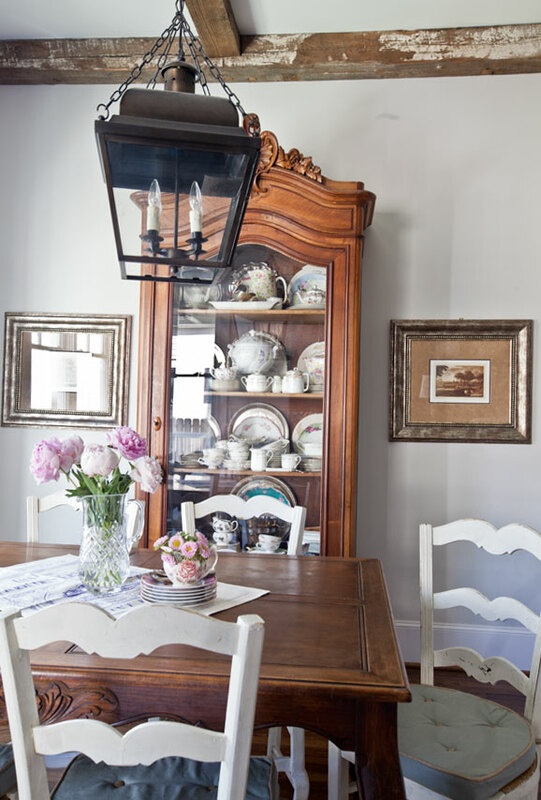 I LOVE French ironstone. The problem is that they can be expensive, so you are going to love my affordable source on these. First let me show you the plate racks with the vintage plates. Nothing wrong here, but I wanted to try a different look. 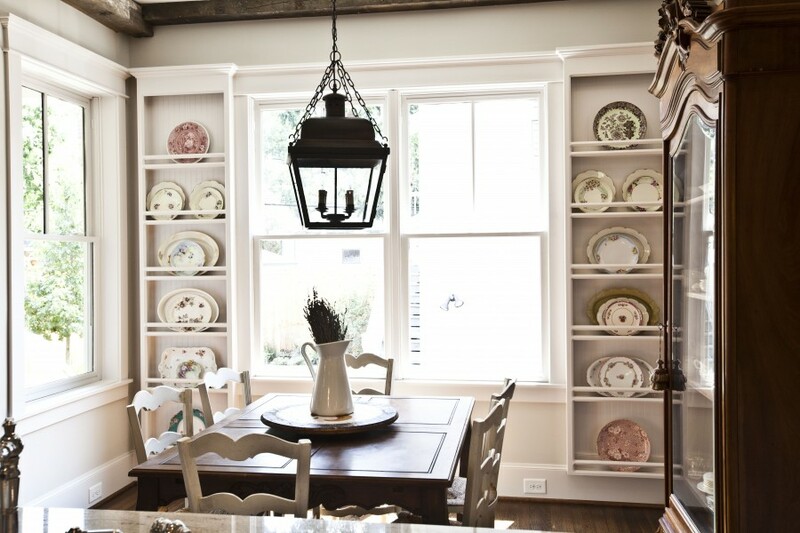 Now here is the same room with the ironstone platters. Well I honestly like both looks, but this one is more soothing, and seems to flow better. It’s nice that there are a mix of different sizes and shapes. I like that it looks like I have been collecting these for years, but I haven’t. The plates with the gold on them are vintage family pieces, Lenox and Haviland, but the others are from my partner, Decor Steals, which means they are VERY reasonably priced. I know you LOVE a deal like I do. It’s so cheery in here, I would love to sit in here all day. Sadly my WIFI reception isn’t so good here, so much for that idea. If you don’t have a plate rack like I do, you can always buy a shelf for your wall, or hang the platters directly on the wall using those discs that attach to the back of the plates. 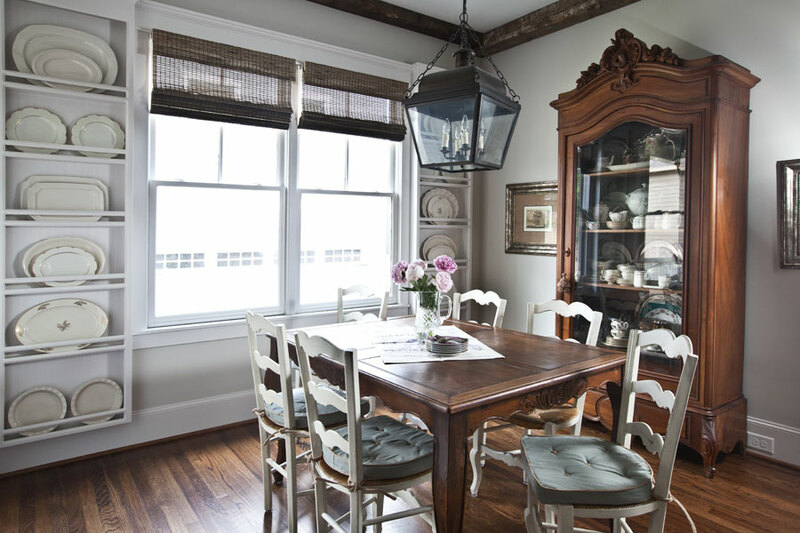 To buy just one authentic vintage ironstone platter will cost you about what an entire set costs at Decor Steals. They have one deal a day, so if you sign up, they will notify you when they sell these platters again. Seriously don’t miss this fabulous deal. I was so sad, when I didn’t grab them the first time I saw them. They sold out fast. So where do you display your plates? 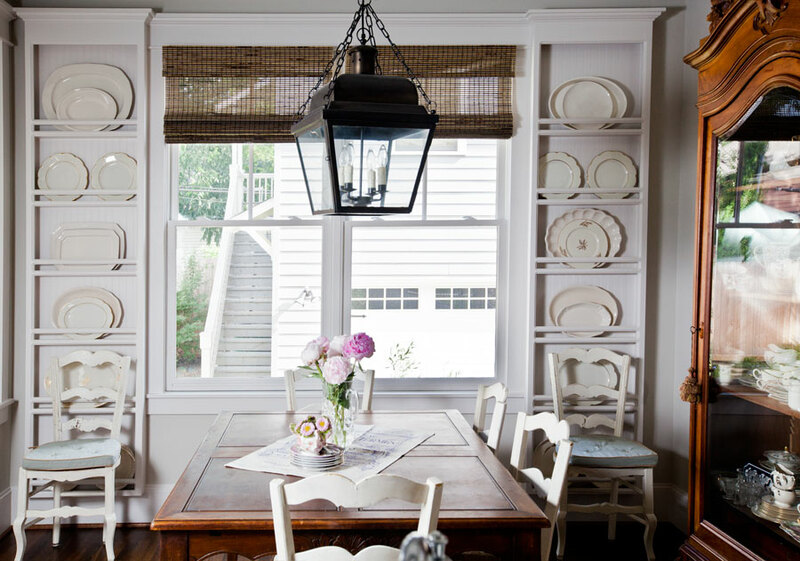 Your plate racks are one of the most brilliant design ideas in your new home, IMHO. I really hope to have a plate rack wall at some point (have the wall, not the rack! ), as I have collected platters for years – and actually use them! It’s hard to dig them out, as they are most always on the bottom of cabinet stacks. I have a set of Norman Rockwell mothers day plates that sit on a 2 shelf plate rack. Other plates I hung up with those cheap plate hangers. My Mother in law had a set of custom made plate shelves that went around the room almost up at the ceiling. She had a huge collection of NR plates. That’s where my set came from. Agree with you that both looks are good. Agree too that the almost all white look is very soothing. Your wall racks are a brilliant way to display both looks. Happy 4th! 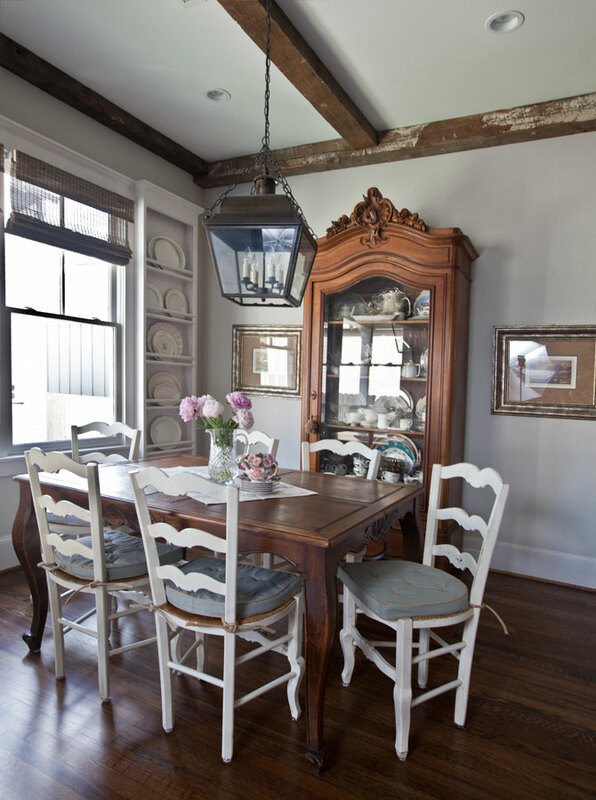 Could you tell me please where you got your white chairs seated at the dining room table in these pictures?? I have been looking for something just like these! Thanks soooooooooo much!! Those are antiques. I have never seen new chairs that looked like these, so you will probably need to go to an antique store. 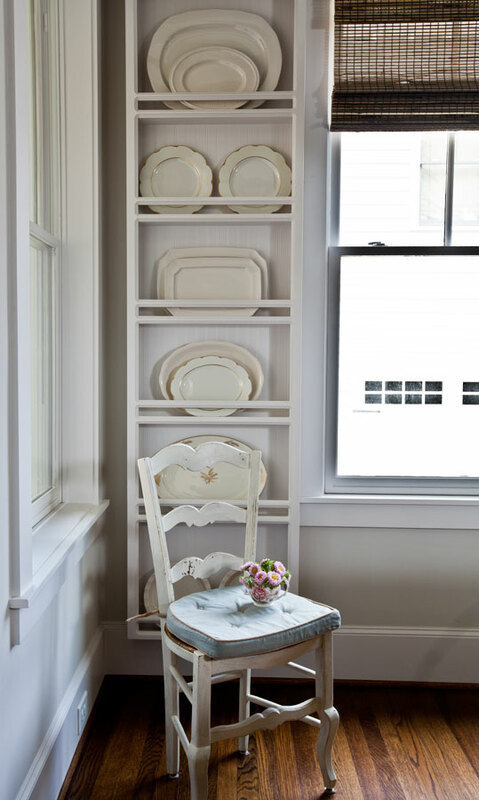 Oh my I adore your built-in plate racks – what a fabulous idea! I like both looks but the Ironstone is gorgeous. I recently stumbled upon Decor Steals and I’m hooked! Your Armoire is beautiful too. Simple, elegant and beautiful! Your plate racks are wonderful. I love Decor Steals. What a clever idea the plate racks are! I always like having things I like out in the open rather than tucked away. Hope all is well in Houston. Love your ironstone platter, sear friend!!! I have many of mine displayed on the hutches in the dining room atop easels! Thanks for the “great tip” of the day! I would love to have plate racks like yours in our DR. What is the depth of them? Is there grooved wood used to hold the plates upright or just the piece of wood across? It looks like a dowel was used across each space, what size is needed? I think I can get someone to make them, as long as.I promise to paint! I found you today from a link on decor steals. I am.so glad I found you. You ate so creative! Susan, our carpenter made the plate racks, so I don’t know abut what materials he used. As far as measurements, rather than using my measurements, I suggest you consider your platter and plates, and your space. What do the measurements need to be to hold your stuff? The measurements here might not work for your things. I am concerned about telling you the measurements here, only to hear that it didn’t work in your house. Make sure they are deep enough!! Sounds like an exciting project! !